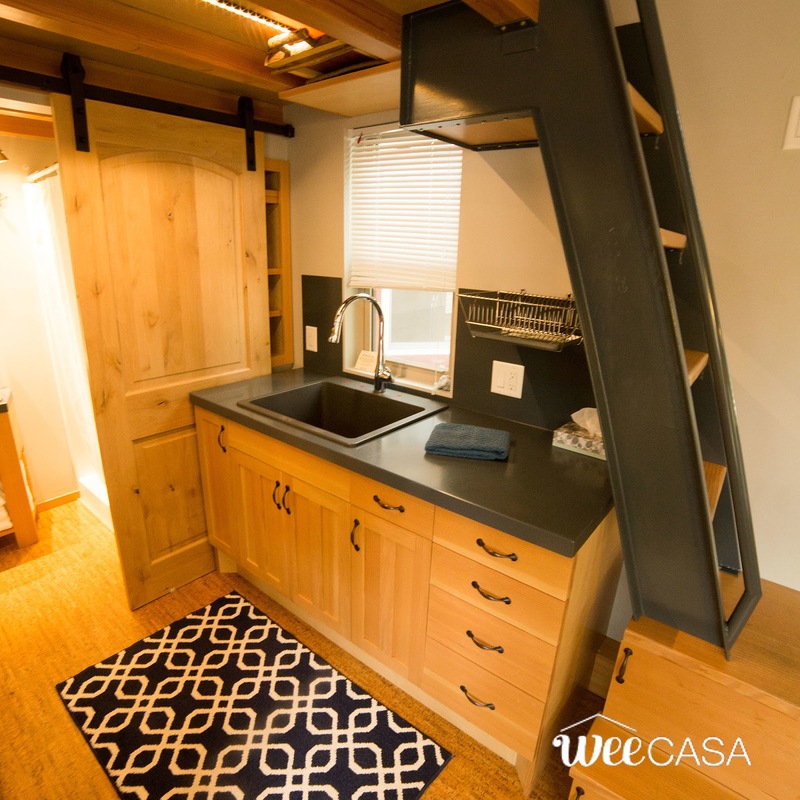 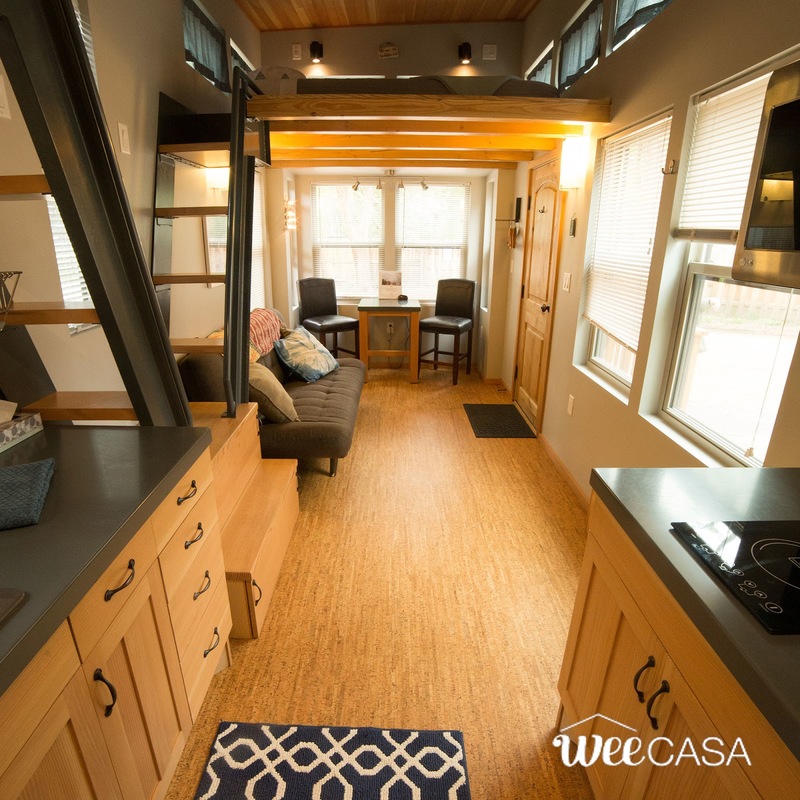 For a unique getaway, check out the Salida; a 24' tiny house available at the WeeCasa Tiny House Resort in Lyons, Colorado. 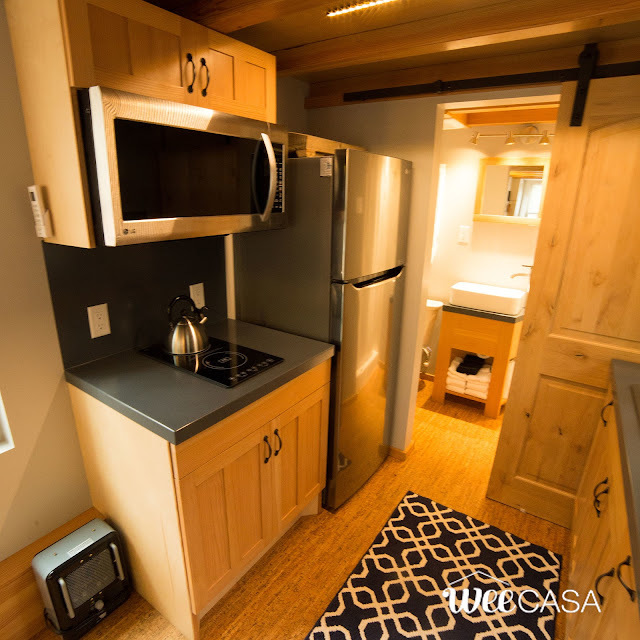 The Salida features a warm modern/rustic interior with just 204-sq-ft of space. 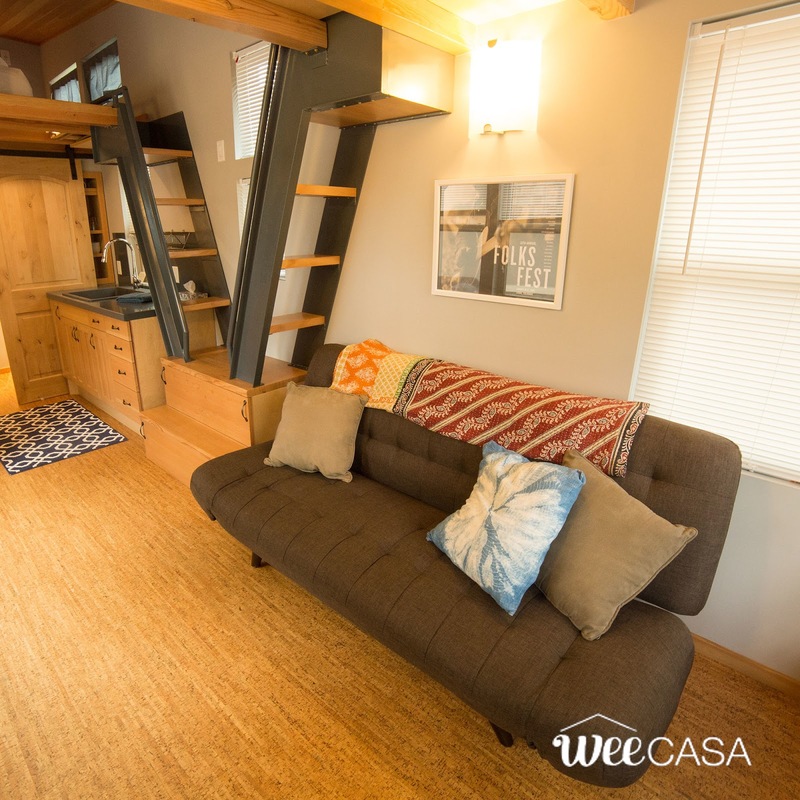 The home has two loft bedrooms with queen-sized beds, accessible by metal staircases. 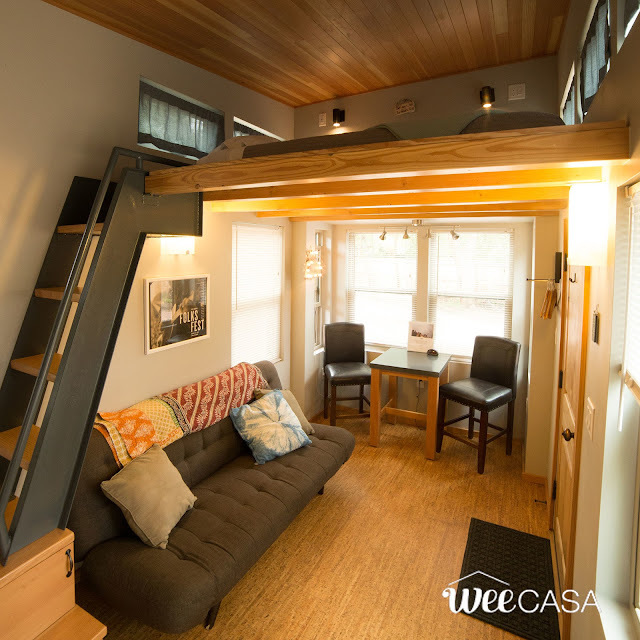 There's also a sleeper sofa on the ground floor which can sleep one extra person. 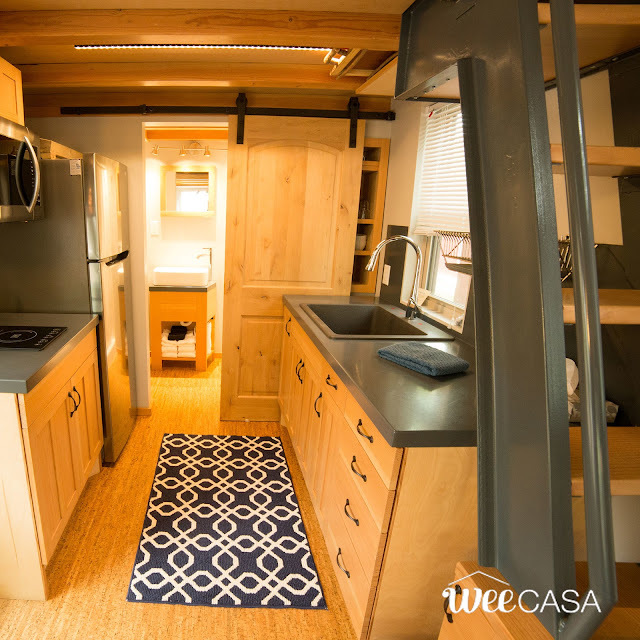 The kitchen comes equipped with a double-burner induction cooktop, a full-sized fridge, microwave, and plenty of storage. 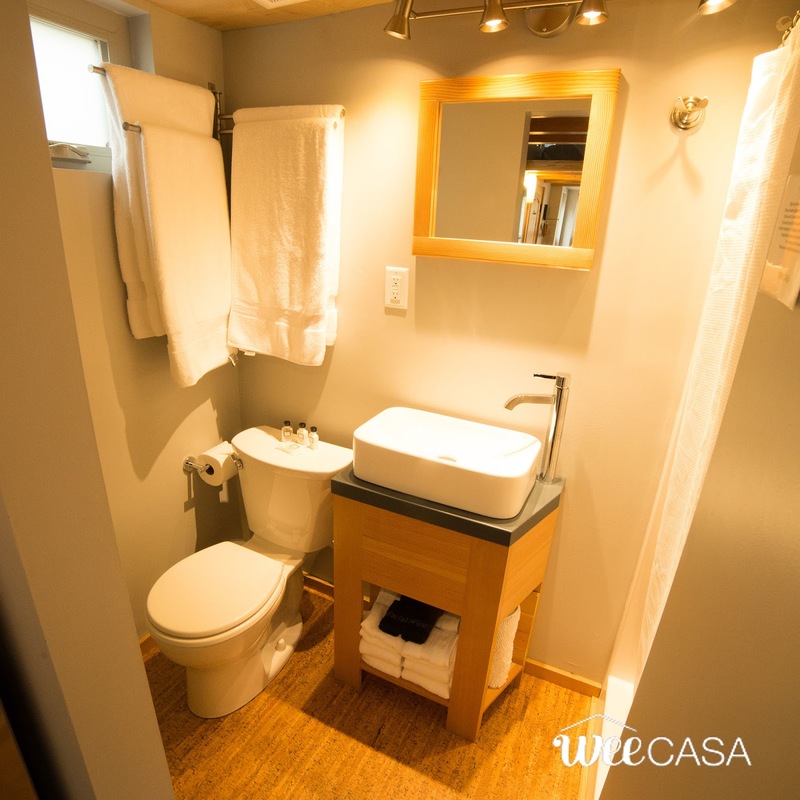 There's also a bathroom with a flush toilet, sink and shower! 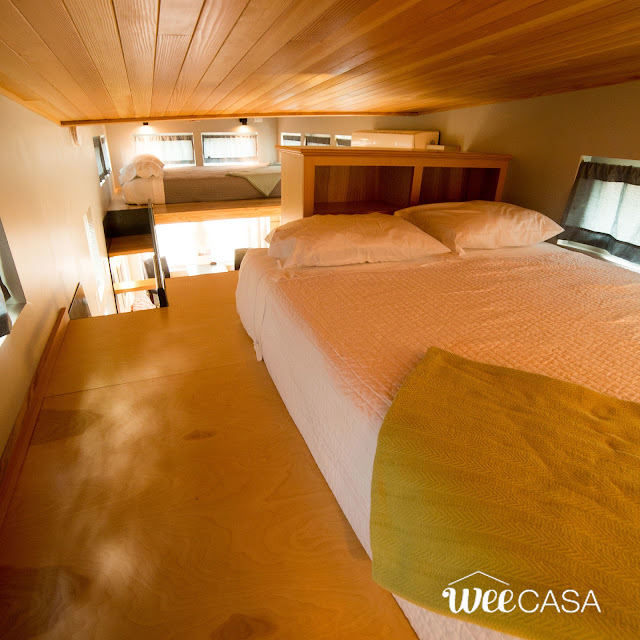 The Salida is currently available for bookings here for $139 a night! 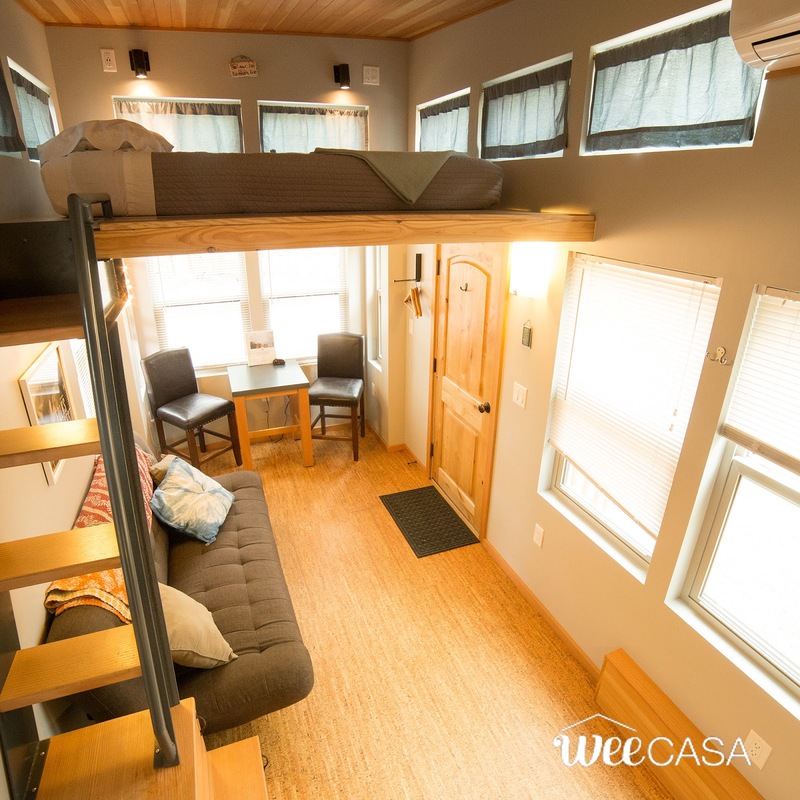 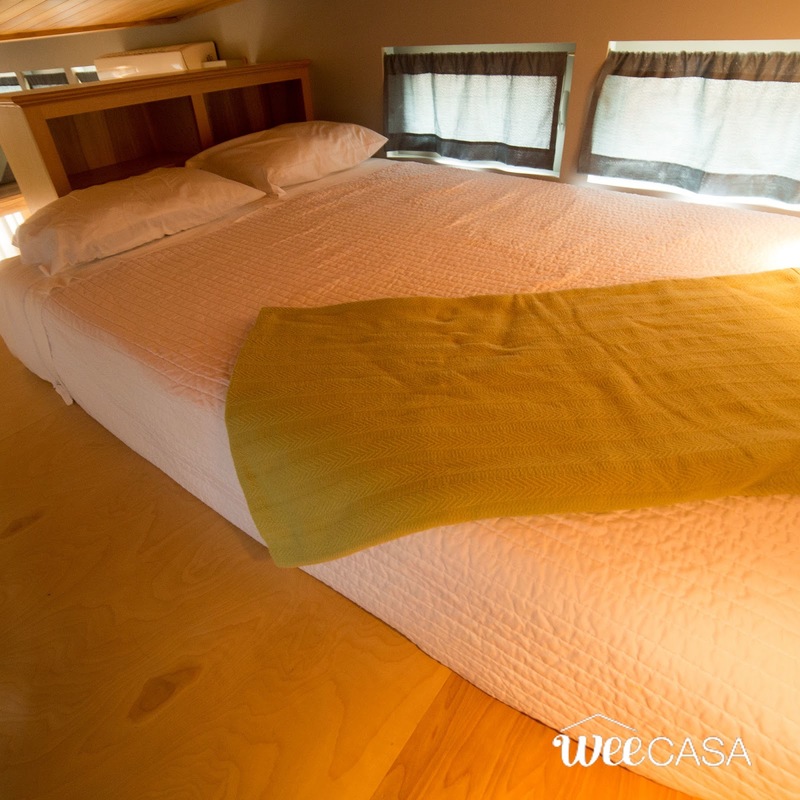 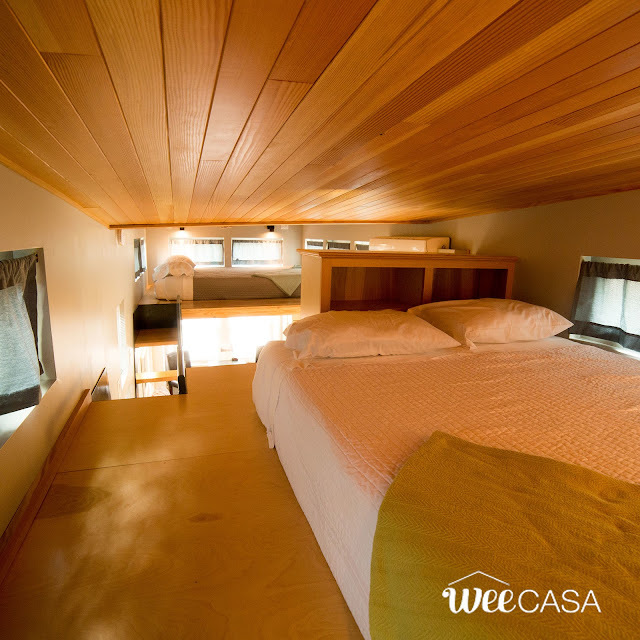 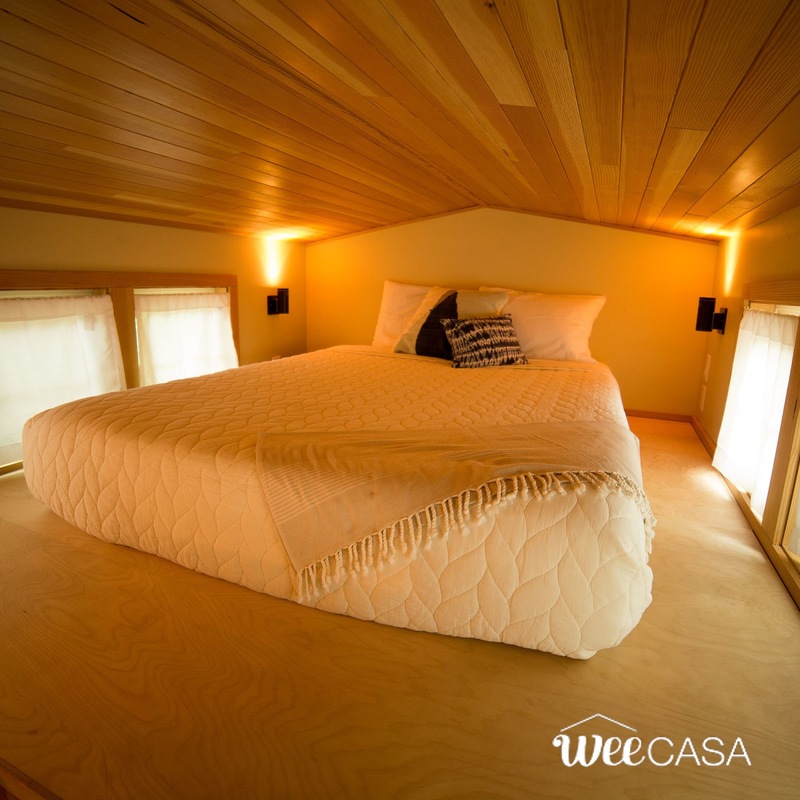 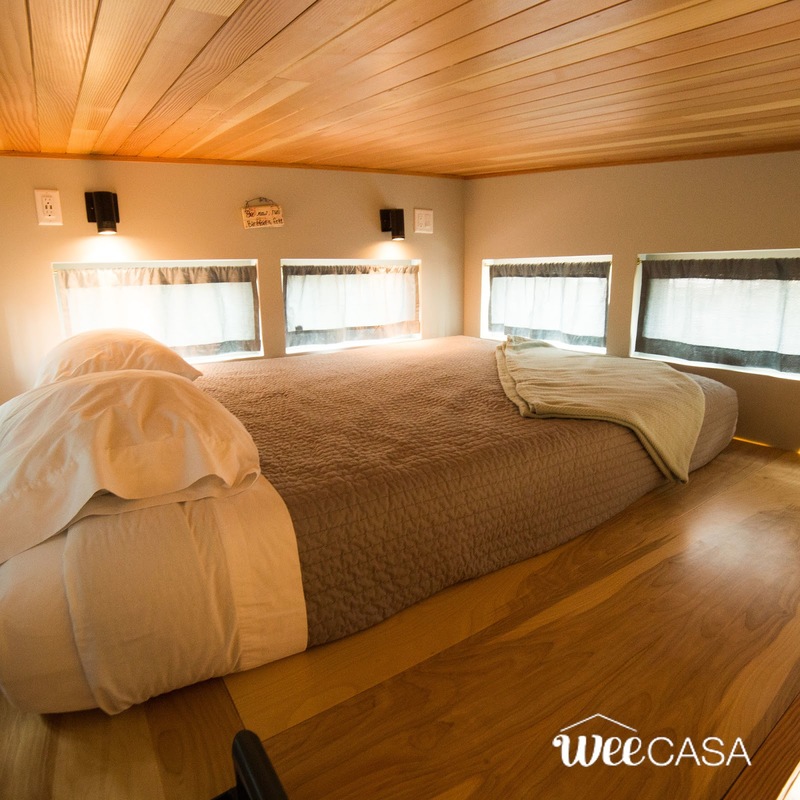 Feel free to check out these other homes available at WeeCasa as well!